Auburndale, MA –Mass United FC of the National Premier Soccer League (NPSL) have teamed up with the world’s oldest British soccer brand, Admiral Sportswear, as they continue their journey into the international soccer scene. Admiral, the original British football brand to America’s and England’s top teams in the 1970’s and 1980’s, has supplied uniforms and equipment for the England National team and Manchester United in England, and the Tampa Bay Rowdies, New York Cosmos and Vancouver Whitecaps in the United States. 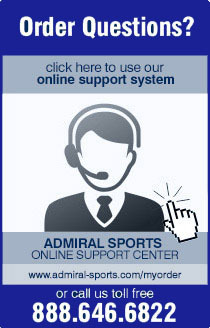 Today, Admiral is the brand of champions, worn by the 2011 North American Soccer League (NASL) Champion Minnesota Stars and also by the former champions Puerto Rico Islanders in addition to USL PDL Champions Kitsap Pumas and many other USL Pro, USL PDL, MISL, NPSL & WPSL clubs that have switched to Admiral this season. As Mass United FC enters its second season in the NPSL, the club continues to be dedicated to improving and advancing its sport and its community by focusing on developing talented players and enabling them to maximize their potential. Adrian Kawuba, a midfielder and defender for the club, was named an NPSL All Star for 2011 and striker Emiliano Amoroso was recently signed by a club in Portugal’s 2nd Division. The club is affectionately known as “The Riders” after local heroes William Dawes and Paul Revere. “They’re “hands on” and have an excellent eye for detail that gives them a great understanding of every part of the club’s needs. You feel that they are part of your team as well. They tailored their solution to the needs of the club and allowed us to create a fantastic range for our playing staff & supporters,” said Antonakas.